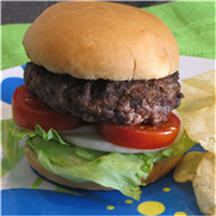 CooksRecipes has quality, kitchen-tested recipes for beef hamburgers and cheeseburgers that you can count on for successful deliciousness. 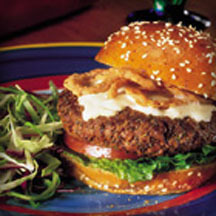 A savory blend of ranch-inspired spices makes an extraordinary tasting burger that's sure to please. Quick and easy to prepare, too! 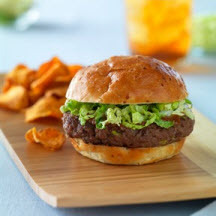 This unique grilled beef burger is topped with the flavors of Thailand: peanut butter, lime juice and hoisin with the crunch of cabbage.